Contact us if You wish to arrange private meetings for your company or business associates. On the middle floor is the one of the entertainment centres of Ruka Peak, the Susi Lounge with a DVD home theater system. 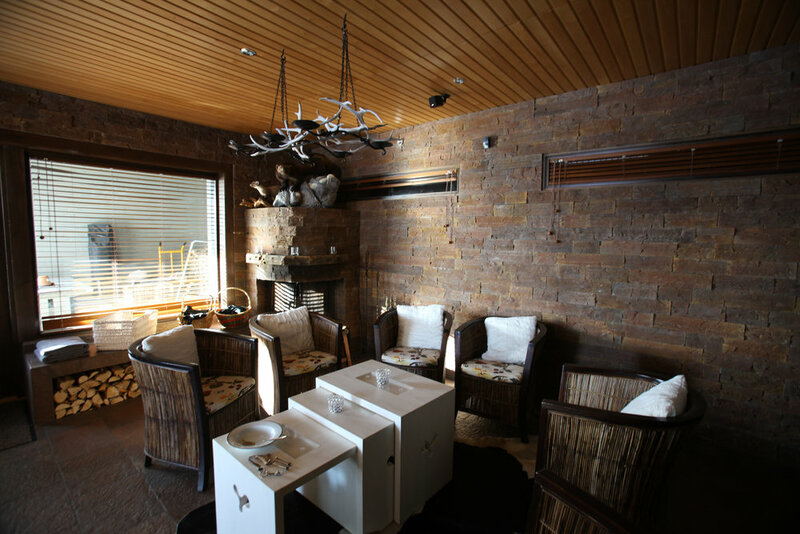 There you can watch films, play many games, and enjoy the company of your friends in front of a glowing fire. Room for 16 persons. On the upper floor is our multipurpose area, the "skyscraping" Masto Lounge and Top Terrace. The Masto Lounge is modern place to have meetings with video screen and other equipments. Room up to 20 persons. Workshops or meetings are a piece of cake by the "outdoor" fireplace of the Top Terrace, over a dinner of game skewers, for instance. The Top Terrace area is fully heated although the double glass doors can be opened in order for you to enjoy the warming sunlight of a spring or summer day. 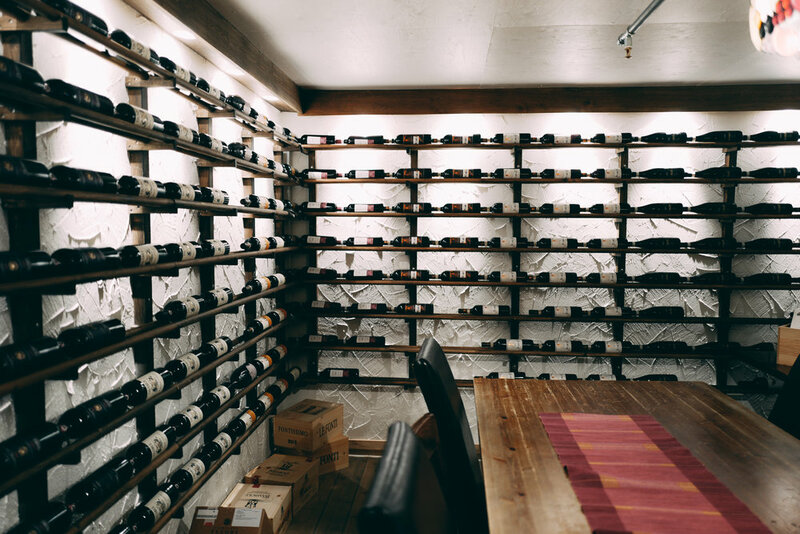 The two most extraordinary rooms are the Wine Cellar (for 20 persons) located next to the dining room and the alder-scented Kiuta Sauna Lounge (for 16 persons) complete with a wood-burning fireplace.